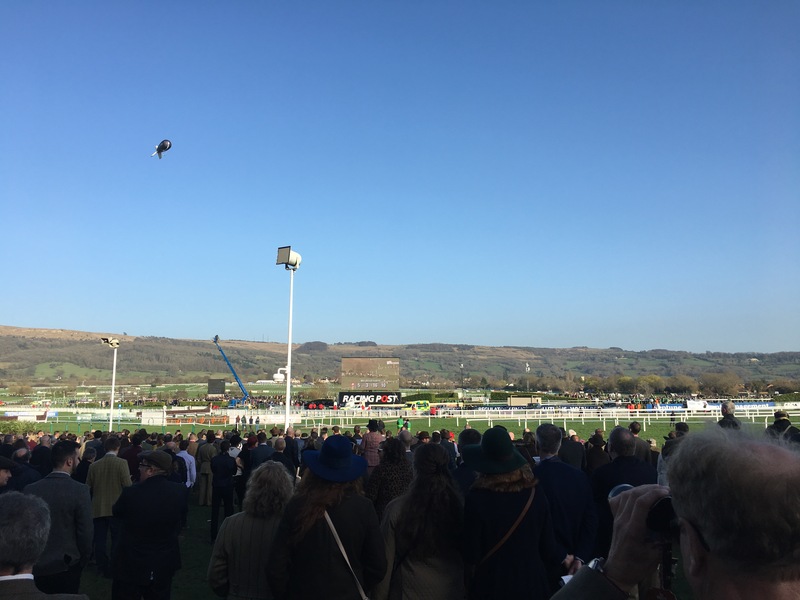 Austin and I had our first date at the Gold Cup Festival at Cheltenham Race Course and now we endeavour to go every year. This year, having an almost 6 month old made our attendance an uncertainty. As H is breastfed, and going through a clingy stage, leaving her for extended periods is always a tough one. However, upon hearing that the newly revamped course had a family friendly area, we decided to give it a go. 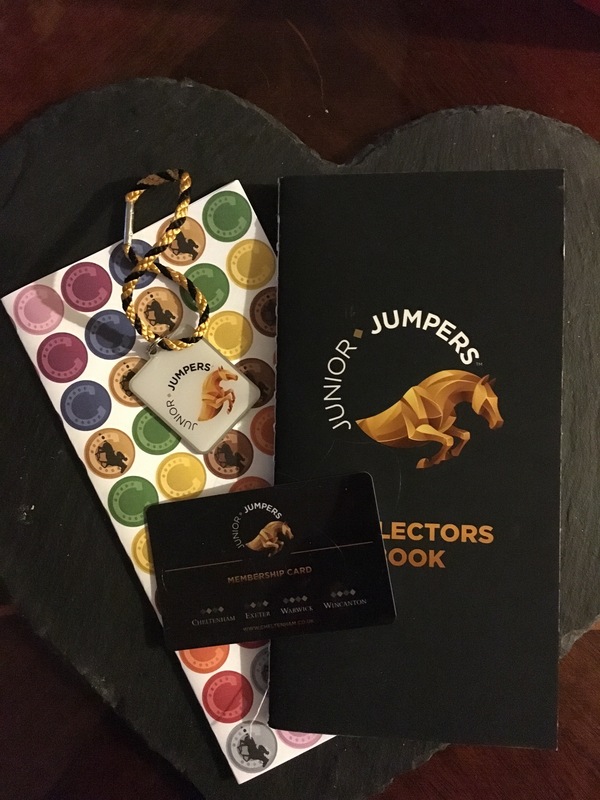 We even signed H up to be a Junior Jockey member so she got a cute little pin and autograph book, plus her entry was free! We opted to take our pram over much deliberation between that and a carrier as we felt she would better be able to nap in this. The day wasn’t actually as busy as I had anticipated and the only time the pram was a nuisance was when we had to take turns going to place our bets, but this really wasn’t much of an issue. 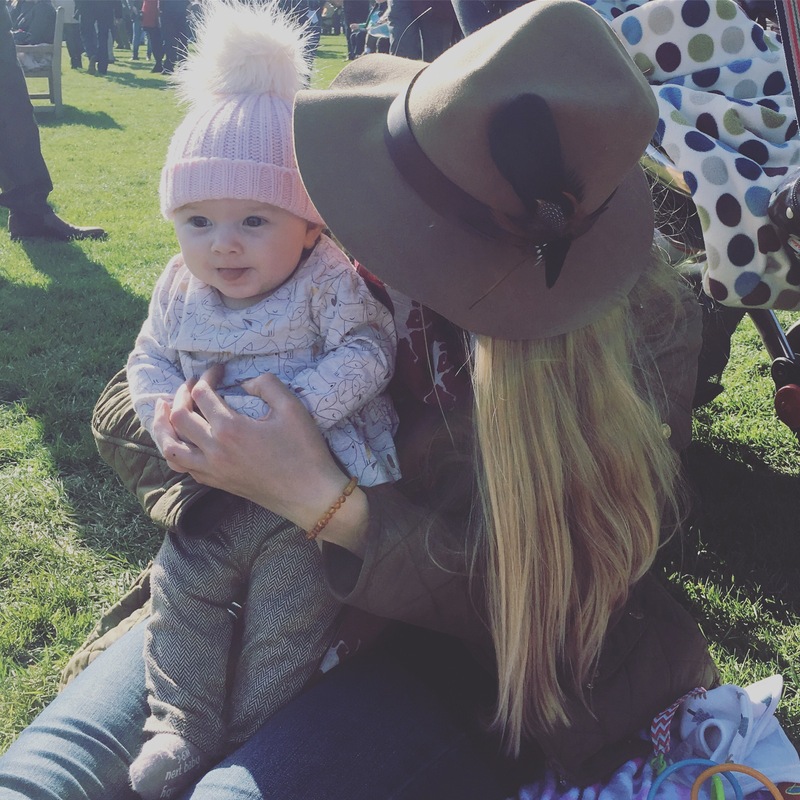 H was dressed in her best attire, and she got a lot of attention from a number of beautifully dressed women who were also enjoying Ladies Day. I was slightly disappointed that the weather was so lovely as it meant she didn’t get to debut her gorgeous Monsoon coat. I planned her outfit so well that I didn’t pick my own until about 30 minutes before we left the house (but I don’t think I scrubbed up too badly in the end)! We had read online that there was a dedicated area called Child’s Play specifically for families with babies and toddlers, but after asking 4 staff members wearing jockey club coats it seemed this place may not actually exist. H was desperate for a feed so I ended up feeding her on a busy bench by the toilets, which was not ideal and I did feel quite exposed as I’m sadly still not overly confident breastfeeding in public. However, later when looking for a place to get lunch we happened to stumble upon this elusive children’s area. It is staffed on the door, which is great to ensure the area is only used by families. 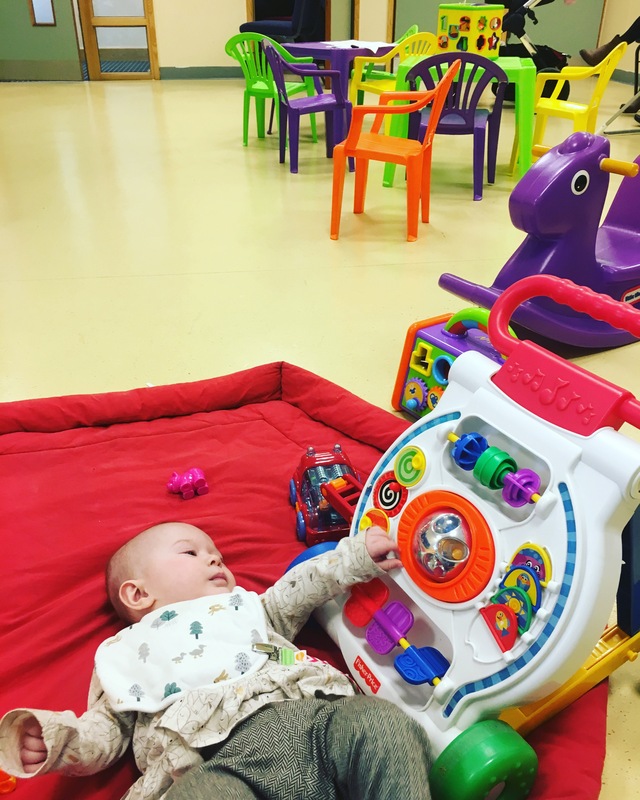 There are places to sit in there, a few toys, highchairs, toilets, and a changing area – we were really impressed! It was pretty soundproof in there too; H sleeps quite well with noise but this is great for littles who need a bit more peace for their naps! All in all we had a fab day, although it would have been better if we could have been directed to the dedicated children’s area earlier in the day. Thank you Cheltenham Race Course for another great race day, you did not disappoint!